We hope you enjoy reading our white papers on variable frequency drives and other AC motor control solutions. With over 14 years experience in designing custom variable frequency drives and motor controls, we have a great deal of experience to share. 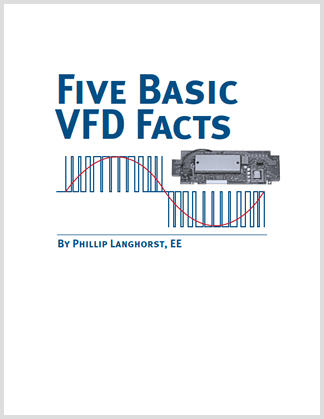 Our white papers on VFD limitations and design considerations cover the basics. For more information, just give us a call at the number above. It’s a fact. There are more electrical motors in the world than there are people – by a wide margin. Variable frequency drives have become ubiquitous tools to achieve efficiency from an electrical motor. However, they don’t work miracles and there are critical limitations and factors that should be considered when selecting a VFD for a motor control application.